I would like to ask some questions about trading psychology. I am a new trader and I am 27 years old. I had a successful food business and my company funded by investors 2 years ago. But there is a silent financial crisis in Turkey right now. So I decided to move from my company and start to make new business at financial markets. Trading in stock markets is hard for now. I am especially focus on stock markets for now and trying to learn future markets as well. Every weekend I am going to educational meetings to learn future markets. I read your speech at Jack's Stock Market Wizards. You are my idol actually. I really want to be a successful trader. My main objectives are, in Turkey commerce is very hard right now, I need a huge capital to start new business. On the other hand in soon future I believe crise will be geting worse. Thats why I prefer to learn stock markets and stay here. Another reason is my capital not enough for new business. For nine month I read everything I can find about financial markets and try to increase my culture. Last three months I started trading in stocks. First month I gain +%10 of my total capital. Last two month I lost -%20 of my total capital. Beside trading, I am learning #C coding language to build profitable algo-robots. I really want to make this business for my life and be successful by earnin money. There is one thing that I don't understand about trading. Normally I live my life fast. People say that I am impatient man. And I realize that being impatient is almost one of the worse situation in trading. And I am all alone, I have no advisor or I dont have anyone to help me to make my decisions better. I think this subject includes behavioral financial psychology. I would like to ask you, do you think am I right person to trading? Do you have any advice for me? You seem to sense considerable difficulty in your current commercial environment. I wonder if you might consider applying the trading principle, Cut Losses, to you situation. I write this email with two intentions. (1) I want this email to find you healthy because I find you update the FAQ in a relative slow frequency, compared to before, and i don't know why i can't help contacting you to know you are well-being. Maybe I learn a lot from your website and i develop some intimate relationship with you strangely, so I want to know you are good. (2) I want to know if there any chance you would finish the whole TSP in the website, there are some subjects still left to finish. Thank you for asking about me - and for asking about TSP. I wonder if you might like to help complete it. Not sure if you will reply this. I have been trading or gambling in the stock market for many years. Didn't have a fix trading plan as I was hopping around to find the "holy grail". Since late last year, finally I reflected and asked if I wanted to keep gambling on. I went on to study price patterns and tried for a while, mainly trading on breakout. Made some lost more. Didn't really have a fixed plan. Only know my loss and profit target. 2) If I trade the breakout, I am prepared for a pull back to the breakout point and add on my position (I used to have an issue with seeing my gains get evaporated, close my position too early and it just takes off). It is still not a very fixed plan. I am trying to draft some rules to make my trading more fixed. For example on the weekly chart if 20EMA is above 50 EMA, look for long trades in daily chart and vice versa for short. Is that on the right track? You might consider back testing your system to determine optimal parameter values and sensitivities. I’ve become a big fan of your work and would like to learn more on how to improve my entries and risk management in trend trading. Please kindly provide me details on how to join the TT community, sir. The Trading Tribe has no formal entry ritual, fees or dues. To participate, you can write to FAQ, join a Tribe or start your own - and then apply the principles in your own way. To get the hang of how things work around here, you might consider reading through FAQ. 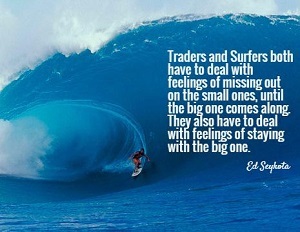 I'm a surfer and now a trader. I made this for you and am having it printed to hang in my office. Thanks for the insights. Thank you for sharing your poster. Just like the life cycle of markets, the life cycle of civilizations goes through a revolution where the have-nots pushed against the wall will overthrow the existing political structure and haves. This re-set the clock for a new order, which over time moves towards another group of haves and have-nots over time and leads to another revolution. Will and Ariel Durant, the famous historians based on their study of civilizations came to this conclusion. The mention that in ancient Greece, in594 B.C.. Solon a businessman of aristocratic lineage, secured his election to the supreme archonship with support from moderate elements within Athens. This was at a time when the Greek civilization was seeing the gradual re-distribution of wealth into fewer and fewer hands amongst its masses. The poor found their positions worsen with each passing year. Their masters mostly dictated governmental policies, and the corrupt courts protected these positions, unfavorable towards the poor. There were talks of violent revolt in the air as the poor were now left with little recourse. The rich in turn, were angrily getting re-tooled to defend their wealth with force. He saw the implications of what was going on and went about major changes, which essentially saved Athens for another 100-200 years. He engineered a social re-distribution of wealth (devalued the currency, thereby easing the burden of all debitors, despite losses on his credit to others, reduced all personal debt, and ended imprisonment for debt, cancelled arrears for taxes and mortgage interest, he introduced a graduated income tax that made the rich pay at a rate 12 times that required by the poor, he reorganized courts on a more opular basis, and arranged that the sons of those who had died in war for Athens should be brought up and educated at the governments expense). The rich protested that his measures were robbing the rich and amounted to confiscation, the radicals criticized him for him not re-dividing the land, but within a generation almost all agreed that his reforms had saved Athens from revolution. A contrasting picture emerged in Rome, where the Roman Senate (133 BC to 30 BC), known for its wisdom blundered. They adopted an uncompromising course when the concentration of wealth approached an explosive point in Italy; the result was a 100 years of class and civil war. The Reformation, and the violent French and American revolution was also a re-distribution of wealth. Someone perhaps read history such that the government of the United States, in 1933-52 ad 1960-65 followed Solon’s peaceful methods. The social support with Social security, Education grants, Medicare, Medicaid, accomplished a moderate and peaceful redistribution, perhaps some had read history. The upper class in America cursed, complied, and resumed the concentration of wealth. Durant concludes that the concentration of wealth is natural and inevitable, and is periodically alleviated by violent or peaceful partial redistribution. In this view all economic history is the slow heartbeat of the social organism, a vast systole and diastole of concentrating wealth and compulsive redistribution. Thank you for sharing your thesis. I find that at this moment of now, I am thinking of you. Happy thanksgiving! I am an Electrical Engineering student at UT-Austin. I write because I recently embarked on my journey as an aspiring trader, and would like to kindly request your counsel. I was introduced to the world of trading by a close friend on March this year and fell in love with the subject. Since then, I have been researching the topic, specially the mental and emotional side of it. I wish to be mentally and emotionally prepared for trading before committing resources to it. Just earlier this morning, I found your Trading Tribe process through Quora and strongly identified with it. In special, I was struck by your goal of achieving right livelihood. I am not sure if you refer to the same concept of right livelihood as explained in the buddhists' Noble Eightfold Path, but either way, I deeply relate to striving for such goal. I seek to be happy and in harmony with life as I grow as a trader, so I wanted to respectfully ask if you would recommend me to seek membership in a Trading Tribe now, or if I should wait and seek membership later on when I have actually committed resources to trading? Thank you very much. I was grateful to find your Trading Tribe process. You can start your own Tribe, whenever you like. To get an idea about how to go about this, read through FAQ, read my book, The Trading Tribe or attend a Workshop. I am a 28 year old and for the last 2.5 years I have immersed myself full time in understanding global financial markets. I work part time each weekday doing some marketing work for a company ( pays the bills), but my true passion as I have discovered is understanding the intricacies of the financial market system to enhance returns for people, in ways that is unmatchable anywhere else. I have had no real success with school as my mind tends to think in unusual ways which is not compatible with the formal, rigid, mechanical mode of operation. Maths and Physics were my favourite subjects for what is was worth. I was the guy who could understand pretty advanced concepts but couldn’t comprehend basic rules needed. I loved the way equations could describe some sort of behaviour or phenomena. My conclusion was simply that my brain sees things from all angles and needs greater detail to make those connections then the majority of other people. I found it hard to accept teachers conclusions most of the time. It seemed incomplete for me. I wanted to get into trading via a quant analyst, however there was no way that was going to come to fruition given my issues learning in a formal educational setting. Naturally I seeked out psychologists and a psychiatrist to try and find the root of my learning problems and lack of flexibility. When I get immersed in something like a physics problem or math I find it near impossible to take myself away from it even though in an exam I know I need too, I like to find different ways of solving the problems. They concluded that I had anxiety issues with perhaps a non verbal learning disability and mild Aspergers. I absorb everything around me and I automatically take it all apart without being able to consciously control it. For me, that didn’t explain what I was experiencing well, so I saw a couple of alternate professionals in a Sharman and clairvoyants. I had done my own research and came up with some conclusions and what these professionals suggested was similar to how I thought. They told me that I have a brain wiring that is truly original and I would be best served in operating on my own wavelength connecting with professionals within your desired field of study who could help you with funding, networking intricacies fo the business etc. For what it was worth, the Sharman ( who does clairvoyance) told me that my brain was savant like in my ability to perceive complex patterns in market data, that most advanced computer systems couldn’t and that it would take a little time for me to decipher them, to then be able to generate excess returns for people. I am at my best when I work alone and have challenges in front of me, no noise, no disturbances (unless prearranged with somebody to come and visit me). I enjoy others company from time to time, but I am at my best in my own head. Verbalising my entire thought pattern is impossible and the most frustrating thing for me. So with an understanding of how my brain functions, I decided to buy as many books as I could on the subject of derivatives trading as I identified this area as the one where I could really create something unique and a game changer for people. You can express your market view long or short an asset which is wonderful. Pure alpha generation without excuses that traditional asset manager can provide. I learnt about the principles of Futures and options trading, bought pretty much everything on the subject matter and flooded my brain with all the info. 2016 I spent all year gathering data to find connections between each market. Commodities and Currency were my favourite markets at that stage. This year I have being running mock futures accounts and I am on my fourth currently, running a 500k account. Each was 2 months in duration. From the weekend and the current account I combine weekend trades with day to day 3-4 times per week. I was successful the first time , however I went bust in my 100k account and 250k account I was down 1.55%. I used no stops for the last two, however the first one I did, and also I changed bits and pieces every week for these accounts as well, but treated all my trades ultra seriously as if I was running a professional account for a client. My style of trading is pure chart analysis as a discretionary trader I suppose you could say. My best trades have come from capturing market turns and with the stops I limited losses. I have found that duration wise I would hold positions for 1-5 days. I created a depiction of how the markets worked and it is like a battle ground between greeds and melancholics. Greeds want the market appreciating, and melancholics want it decaying. Trend Id is crucial in my view, however I look at multi faceted time periods which gives great perspective. I chart in candle forms only. I taught everything my self and kept shoving my brain full of charts for different assets in order to understand all types of situations that arise. My inconsistency in performance has being as a result of unfamiliarity of these different chart set ups, but I am getting close to deciphering most of it to be able to run my real account and others. Up trends certainly are more different then down trends. Commodities are certainly more different then currency and stock indices ... yet they are all similar as well. Retracement is a fascinating concept really. I wanted to connect with you to help me with what I should do as far as my path is concerned ... I know absolutely I want to manage client private accounts full time up to 20. I know my path is offbeat, and also that my brain wiring is suited to this venture and the style I have taken on. All pattern recognition, instinctive minus any advanced algorithmic trading systems which is where the bulk of managed money lies within the managed futures industry. I think that I can provide something really unique eventually. In my mind I need to manage my own personal account and be able to run it up pretty good, I am not sure whether I am best to do a mini futures account or a CFD with lower margins but large size contracts with 100k my father has given me? I will start in January 2018 this venture and then hopefully take on some more accounts externally. I naturally think getting a CTA designation would be good, I understand you have to take series 34 exams and then register with CFTC and NFA. I have in depth trading info for my mock accounts and a sample disclosure document I would give to clients (when the time may come), I feel it’s important to prepare. If you know what you want to do then I fingered I don’t want to waste any time. I would like to start 2019 full time managing accounts. I would love to go to America and sit down and speak with people, like yourself, jack schwager, Bruce kovner, Louis bacon, Linda raschke, al Weiss, Ray Dalio etc to give them my story and how I can get this going implementing my own unique approach. I am truly thankful of any advice you can provide to me and am happy to send you whatever I have. Oh and my favourite markets would have to be industrial metals, and developing stock indices. Especially RTS and IBovespa Futures. Just a shame no broker besides those to hedge funds and CTA’s provide you with access to base metal Futures like nickel and zinc. As it relates to TTP, throughout FAQ, you talk about experiencing feelings instead of analysis. In the TTP process section, you offer the example of Art who first analyzes his physical feeling of pain then “experiences” it. But his experiencing translates to a memory of being beaten by his father in the same location as his physical pain. In a sense, analysis of his past led to this realization. Clearly his was a cognitive realization and thus required thought (instead of just feeling). My intention in raising this point is to understand the delineation between analysis, recollection / thought, and ultimately feeling. The lines strike me as grey. I am not a fan of public speaking. When I have to speak in public, I feel very specific things: increased heart rate, nervousness/butterflies, dry mouth, anxiety, etc. Analysis (a TTP no no) leads me to believe the root cause is a fear of making a mistake and ultimately being judged negatively. Rationally, all I am doing is talking (to a crowd) and everyone makes mistakes. So, there shouldn’t be a reason to be nervous. Yet, this logical realization does not help to subdue the feelings. Bottom line, analysis isn’t working but it sounds like TTP could help to understand the positive intentions of the feelings. 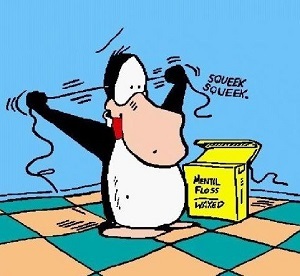 If I understand it right, Fred is trying to tell CM something when I have unpleasant public speaking feelings. However, as per the example with Art above, I’m a little unclear on how to experience the feelings to potentially achieve an aha. I also don’t like the feelings. My hope is to clarify how to use TTP to lead to the positive intentions of Fred’s message(s) and thus embrace said messages/feelings so they become beneficial instead of highly unpleasant. As you are the father of TTP, I am seeking your insight. In Tribe Meetings we come to view the positive intentions of our feelings. We call a feeling and an associating judgment about that feeling (such as you appear to have about public speaking) a k-not. For more on k-nots and how to deal with them, you can read through FAQ and also refer to my Book, The Trading Tribe. For starters, you might like to understand your feelings about wanting to understand things. I wonder if you could help me discover what I was meant to do and find my right livelihood. I would like to live with deep emotions and serenity and peace. Hope you're doing well. Please update the website soon. I would love to read what others are up to. How much for a red pill and a real world starter kit? I want to learn to do what you do. That is perceive the world differently. I had a dream the other day where I'm in the library, and I pick up your two books. I didn't see you there. I'm thinking about making a tribe in Jakarta/Bali/Labuan Bajo. I wonder if any of your readers would interested in starting up a Tribe. I'm also wondering about the status of Tribes around the world. I haven't seen any updates in a while. Hope you and your Tribe are doing well. A commodity trader friend adapted one of your quotes which led me to your tribe. Your FAQ, 'trader whisperer' letters are a delight to read! Thank you for doing them. I feel a kinship to anyone who trades trends and waits while playing the banjo. I do the same, only with a guitar. Don't need any help or advice, just a friendly hello and thank you ! In your whipsaw song, there is a sentence which sang "stash that flash right in the trash". Do reports such as unemployment figures and oil inventory data etc. constitutes as news to you and thus worth ignoring? Thank you for asking about flash stashing. Trend traders pay attention to price and little else. Over the summer, I had a deep feeling dream or "knowing" that outside of the matrix Kobe Bryant is a garbage man. And maybe outside the matrix, I am a sweeper. I'd like to live outside the Matrix and be able to make money. In my parents resort in Bali, I've already had too much karma and when I stay there I get schizophrenic. I wonder if you could help with this. I guess my one sincere help that I would request is to help my find my right livelihood. I don't know if I have anything I have to offer to you to repay you for your time, but if there is please let me know. See the entry directly below. How are you? It's been a while. I'm writing to you for some help. I feel like I'm back in another cycle and I can't stop thinking. Yesterday I play with my mom's friend who reads akashic cards. And the cards she pull out when I get into my feelings I can feel her cards. Also sometimes when I dream and when I am awake I get deep feelings. I went with an orphanage to go camping and while I slept outside on a hut in the middle of nature. I hear a voice from a certain person whom I've met only once talk to me that says "this is expensive." I freak out and take that to mean that whatever ails me is expensive to fix. Either financially or spiritually or something. I get again into my deep feelings and I get the urge to do some motions that I learned and also to sweep. The person that runs the camp tells me sweeping cleans the heart. I am a bit worried about going on in another cycle. Since being in Bali I think I've been in two cycles already. First one had me dealing with you, the second one has me dealing with another type of healer. There are girls who play the same roles that I've attracted earlier. I would appreciate very much your assistance in breaking my cycle. My heart is not in the right place and that's why the mind is going crazy. This is what the lady tells me and I believe it. I'm wondering if you can help reconnect my Fred and underfred or my conscious and unconscious mind or my body, mind and spirit. It's because I'm not producing anything, at this point I'm 7 years in debt and I need a plan to pay back my debts. It's looking pretty hopeless for me. My body feels like I just want to crash and not deal with it. This is my pattern currently. You might consider this system for breaking your cycle. 1. Stop using drugs and alcohol. 2. Stop doing the steps in your cycle. 3. When strong feelings come up, take them to Tribe as entry points. Let me know how willing you feel to stick to this system. I like to read your FAQ because it gives me a lot of knowledge and enlightenment. Thank you so much for sharing the FAQ. I am running some back test and did some calculations. I observe that for a slightly profitable system, you can increase the bliss factor by simply increasing the bet size or risk per trade. Can bliss be increased by increasing bet size? Normally, Bliss, MAR, and other volatility-nor return metrics decrease with heat. In the limit, with very high heat, you hit a losing streak and go broke. - quirks in small position sizing. Also, Bliss generally applies to the aggregation of a great many trades - over a long period. I do not know how to interpret Bliss for one trade. I am not noticing update on TT website since last few months. I hope everything is going good with you. Thank you for noticing me about not noticing. I am looking for a mentor. Something long term. Looking to grow. I am in need of someone that won’t get excited about the type of returns I make. I believe I can be much better. I many times get in my own way. I need an old school approach. Straight forward and to the point. Tried a mentor and he told me what I wanted to hear. Not really interested in theses new guy that only know how and not why they have had success nor how to teach someone else. I did four years Marines and six years as an Army Chaplin. I have been trading for 17 years. I have been married 11 years and have six children last two adopted. Any help would be greatly appreciated. I conduct mentoring, for free, through this column. I also host private sessions; see Ground Rules, above. I am a trader from India and read about you in the Market Wizards book and have been following your articles on your website. I have one question regarding the application of Kelly's formula to actual trading. Some traders recommend taking a bet size of half of what this formula suggests to reduce the volatility and still get most of the returns. How do you normally use this formula in your trading? I do not think about Kelly or his formula very much. You might consider taking your feelings about <designing the perfect system> to Tribe as an entry point. I am in Taiwan and I am a at home stock trader. I bought your 2 books, Oct 2017, and feel so many thanks to tell. 1. I ordered on the website and the charge for mail was $20, but actually was $32.95. when I got books. It means you pay the rest of $12.95. 2. From now, I try to use SVO-p as possible I can. 3. Although my reading progress is slow. But just from the first section, I can feel the good energy you want to share, to encourage. Thank you. 4. I am an introvert, but fortunately, I can discuss TTP with my wife. She is also a trader, and we also develop software on our own. Now we can see the drama when they appear, then we remind each other and feel the feelings. 5. This year, a lot of things happened is Texas. I hope every thing is fine in your area. Thank you for sharing your process - and your kind wishes. I have been reading a lot of trading literature and I can see that it will be a great mechanism to provide a future for communities where hope has long disappeared. Thank you for asking about mentoring. I conduct mentoring, for free, through this column. I also host private consulting - see Ground Rules, above. greetings. Hope you doing well. A friend of mine has a boating/physics problem. You are the smartest physics gentleman I know so I wanted to see if you would be interested in helping him. In general he is trying to get his sailboat under a 49 foot bridge (with a safety margin of 4 feet) and his mast height is 53 ft. above the water line. I have drawn a rudimentary picture which I can forward that provides pertinent details (weight of boat, bridge width, etc). He's trying to figure out what weight he'd have to add to the starboard or port side to get the sailboat to list to the right or left and fit under the bridge. Let me know if I should forward the picture. Thank you for sending me your physics problem. 1. waiting for low tide. 2. tying a starboard line to the mast and a port line to the keel and then having the crew stand on opposite bridge column platforms and ease her in. Send me a video of what he finally does. Your words fascinated me in Market Wizards, especially how everyone gets what they want out of market. I just wanted to thank you for giving back to the trading community. Appreciate you as an inspiration. I hope this email to find you well. 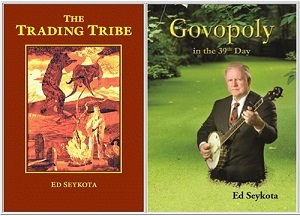 I just want to tell you it was a great enjoy to read your book Govopoly: In the 39th Days. For me, the reading is like a trend , and I hop on it and ride it to the end. Your clear mind and Step-by-Step illustration in this book impressed me so much. I want to know is there any technique to keep the mind clear all the time. Thank you for acknowledging Govopoly. to keep the mind clear. I would like to join one of your Trading Tribes meetings. Currently the tribe in Houston isn't active and I would like to learn more to see if there is a way we can get it going again. Please let me know if I can come to one of your meetings (I would please need details on date and location as well)l. Thank you. Thank you for asking about the Austin Tribe. I plan to launch another series early in 2018. Meanwhile, you can start your own Tribe, say, in Houston. Could I find out when will your next trading Tribe workshop be? I plan to host a Workshop during the Spring of 2018. I hope you're doing well! I'm curious if you have any thoughts on bitcoin as it relates to your Govopoly theses. How does this all play out! with government and the possibility of hyperbitcoinization!? PS. No need to share this last part, but I wanted to share with you. I'm taking my series 65 in a few days and will be launching my own independent Registered Investment Advisory. I want every client to have a copy of Govopoly :) Thanks for your profound influence on my life and your commitment to the work. Thank you for sharing your process and for acknowledging my book. In my opinion, Bitcoin poses little threat to the Govopoly System - since you and I must pay a Federal Income Tax and pay it with Federal Reserve Notes. You might expect to see an increase in federal reporting requirements at exchanges on which you convert between Dollars and Bitcoin. I have been trading a while and develop my own way to see the market, after understood what to do i started automating this investment and i thought ... this is a pretty good way to profit, since im always winning. I read about your story, about your early days in Netherlands, i think enviroment can affect a lot on your way to see the World. Well i have being an entrepreneur here in Brasil for a while now. Im 33 years old, computer programmer, husband and soon to be a father. For me will be a pleasure to get to know you and at least meet you one day since you pioneer in automating trading. It is good to see that even today this is still very breakthro and even more for countries like mine, here in Brasil. Now with access to the financial market thru cryptocurrency a kid of 5 years old can build a automated trading system and this is amazing. I recently developed ... a fully automated cryptocurrency fund where ive been working since Feb.
Hope to hear your thoughts, it is a honor for me even send you a message. I'd like to know if you ever find your fund or your self on the cover of a magazine.